Columnist Rick Holmes behind the wheel of his truck, somewhere in the Midwest. 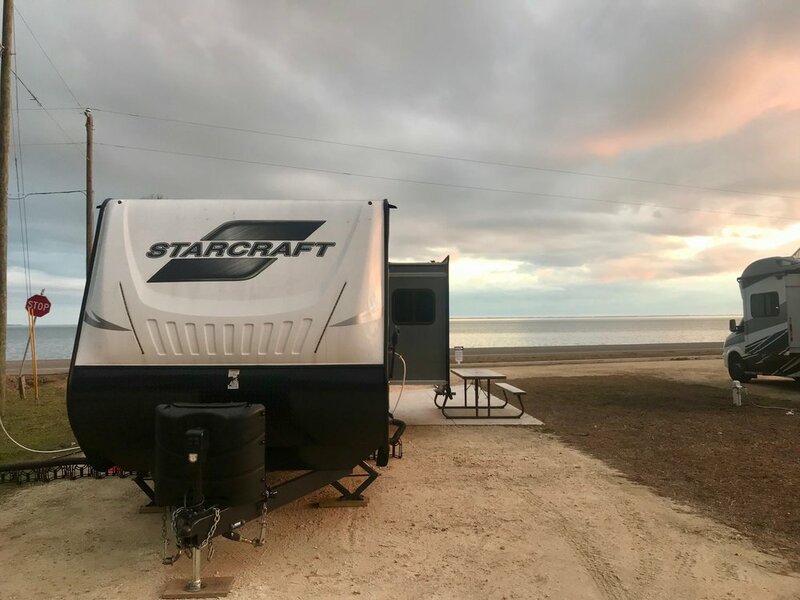 The writer's trailer, parked at a campground on the Gulf of Mexico on the Florida Panhandle. The writer's truck and trailer, on the flatlands of Kansas.